We turned an unused side yard into an outdoor “fire garden” for a couple that likes to entertain at their Massachusetts seaside home. We created a formal path that links the new octagonal bluestone patio to an existing terrace, centering the fire pit on the owners’ kitchen window. 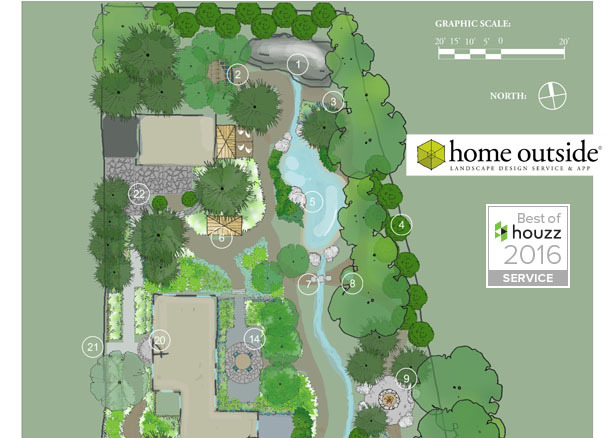 A grassy play space is edged by cut bluestone and surrounded by perennial gardens. More images of this firepit garden can be seen on the JMMDS website. The landscape architects and designers of JMMDS are the same creative, experienced professionals who create Home Outside landscape designs.